One key limitation with the contemporary online gaming research literature is that much of the published research has tended to examine only one genre of games (i.e., Massively Multi-player Online Role Playing Games). Three relatively little studied online games are First Person Shooter (FPS) Games, Role Play Games (RPG), and Real Time Strategy (RTS) Games. Therefore, the current study examines player behaviour and characteristics in these three relatively under-researched online gaming genres. The study examines the differences between the three different game genres in terms of: (i) the demographic profile of players, (ii) the social interactions of players including the number and quality of friends, and how gaming related to real life friendship, and (iii) motivations to play specific game genres. The sample comprised 353 self-selected players. The RPG genre had the highest percentage of female players. The number of hours played per week varied significantly between the genres. RPG players played significantly longer hours than FPS or RTS players. In relation to playing motivation, achievement levels were highest for the FPS genre with RPG genre having the lowest achievement levels. RPG players had the highest immersion levels. RTS players were significantly less likely to report having made friends than players of the other two genres. The last decade has witnessed the introduction of affordable Internet access with high bandwidth connections. This has led to a change in the way video games are played and has allowed a greater numbers of gamers to connect and play with one another (Griffiths, Davies, & Chappell, 2003). This has resulted in a number of different video game genres that have the capacity to be played online. 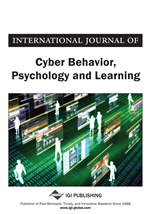 One of the most popular genres is the playing of Massively Multi-player Online Role Playing Games (MMORPGs) such as World of Warcraft, MMORPGs are sophistically-developed, large, virtual environments where millions of users interact with each other through avatars that they create within the game on a daily basis (Cole & Griffiths, 2007). As a result of these fast evolving technological developments, researchers began to adapt their line of research, focusing on the newly developed MMORPGs (e.g., Cole & Griffiths, 2007; Griffiths et al., 2003, 2004a, 2004b; Meredith, Hussain, & Griffiths, 2009; Ng & Weimar-Hastings, 2005; Yee, 2006). Griffiths et al. (2003) noted three different types of “social virtual gaming” (p. 82) that had emerged, but chose to focus primarily on the development of MMORPGs. Using secondary data from polls hosted by two fan-sites dedicated to the MMORPG EverQuest, the researchers collected benchmark data to help develop profiles of MMORPG players. For instance, Griffiths et al. (2003) found that, although MMORPGs were predominantly played by males, there was a significant minority of female players (15%), and that around three-quarters of players were over 21 years of age. Both these findings contradicted the stereotypical profile of an adolescent male video game player. These results were further supported by subsequent research during the 2000s (e.g., Chang, Lee, & Kim, 2006; Griffiths et al., 2004a, 2004b; Hussain & Griffiths, 2008, 2009; Grüsser, Thalemann, Albrecht, & Thalemann, 2005; Grusser, Thalemann, & Griffiths, 2007; Meredith, Hussain, & Griffiths, 2008; 2009; Hsu, Wen, & Wu, 2009; Ng & Weimar-Hastings, 2005; Yee, 2006a, 2006b) although some research has specifically looked at online gaming among much older people (Pearce, 2008). Most of the research into MMORPGs has indicated that the most important reasons for engaging in such games are social (i.e., to play and meet other like minded people). Based on the collation of secondary data, Griffiths et al. (2003) noted that there were many different types of players including explorers, role players, power levellers, and socialisers. Research by Yee (2006a, 2006b) pointed out that females may be motivated to play for social reasons such as grouping and helping others, whereas males may be more concerned with power levelling and game success.